Our morning game drive with Joseph started off with a lion chase, always exciting. While I’m not exactly blood thirsty, I was rooting for the lion. The gazelle won, however, and lived to run another day. I wasn’t all that disappointed actually. We saw our first mongoose, and over 50 hippos in the Mara River, just up a bit from where we made daily crossings to and from our tent lodge. Just how close they were to our camp we would learn later that night when several hippos left the swamp and were wandering through the tent area. We were required to stay in the main lodge area, where we saw one of the guards caring a large rifle. It would be only the second gun, and the last one we saw while in Africa. Our lodge hosts said the animals were allowed to come and go and we were simply warned to stay out of their way. 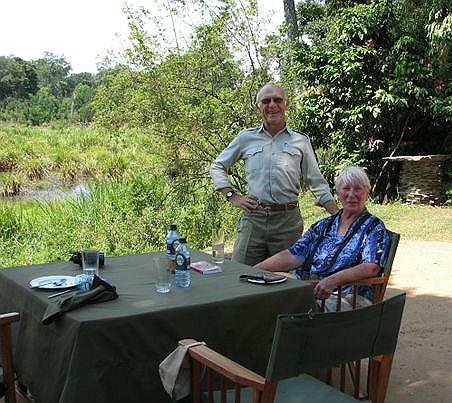 Lunch, after our morning game drive, was a real treat this day. And not because of the excellent food. On checking in I had learned that the lodge had an expert ornithologist on staff and that he was sometimes available for a guided bird tour. Sadly he was all booked up during our stay, but he had agreed to have lunch with us this day. My copy of Dave Richard's book. 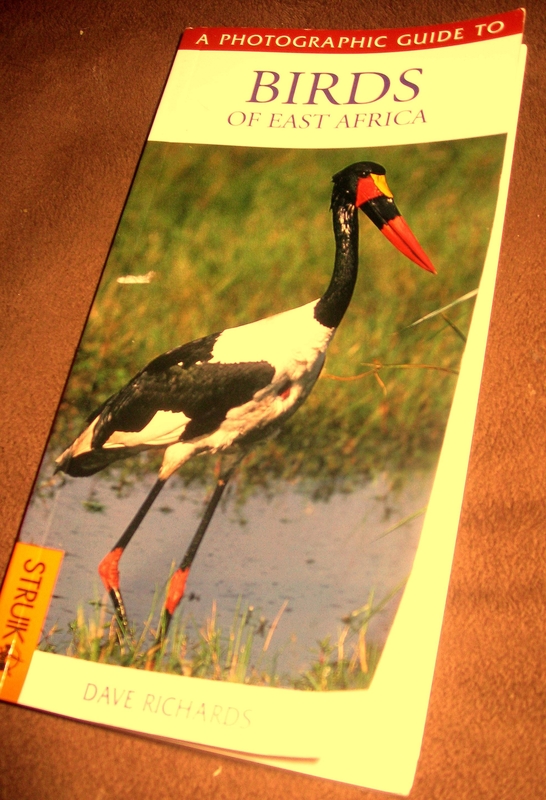 He was Dave Richards, author of “A photographic Guide to Birds of East Africa.,” which of course I had bought at the lodge’s small gift shop and studied the night before. As promised, he joined us for lunch. Dave was a small, gray-haired older man who quickly put us at ease. He had great charisma. At one time he had been a safari guide who specialized in birds. He said he tired of that because too many people just wanted to tick off birds. As a number ticker on this trip, I later told Kim that long-time birders always seem to distain bird listers, but that’s always after they have their achieved their own lengthy lists. Besides, I said, there’s a difference between tickers who are only interested in seeing new birds, and true birders who also enjoy looking at the same birds over and over, even sparrows. I count myself among the latter. In fact, at this point in our safari, I was as excited to recognize a bird I had seen earlier as I was to find a new one – well almost. Meanwhile, our pleasant lunch was frequently interrupted as Dave would spot a special bird in the trees or swamp around us, and he and I would go off to look. Kim, who continued her lunch, snapped a few pictures of the two of us with our binoculars pointed up one tree or another. Our luncheon bird sightings included white-faced whistling ducks, white-browed robin (which sat on a tree right next to our table), spectacled weaver, an da Ross’s turaco. I had seen one of Richards’ photos of this latter bird in the gift shop earlier. They are truly a magnificent sight. Ours here at the lodge was way up in a tree and without Dave’s help I’m sure I would never have spotted it. All in all it was one of the best lunches I’ve ever not eaten. What a fabulous trip! And that last picture – that is the cutest bird. Thanks Helen. 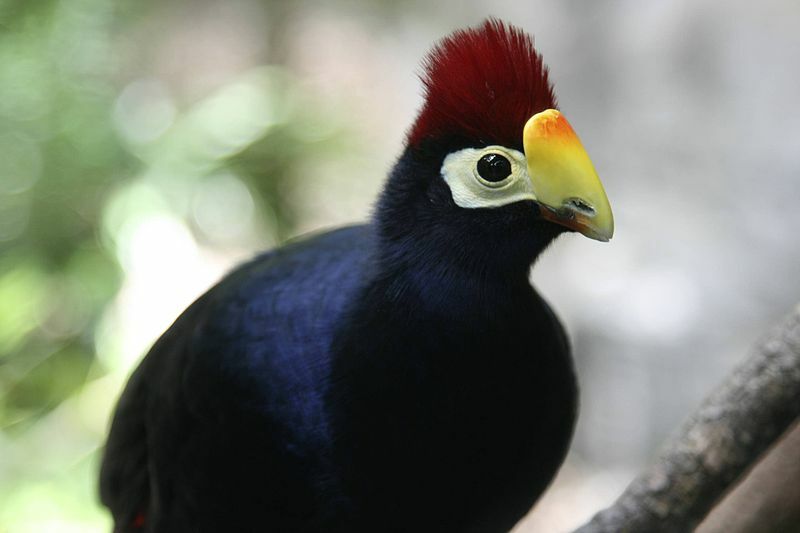 Africa had some amazing birds, most much more flamboyant than North American species. Great pics. What a vacation! I heard more people are killed by hippos each year than just about any other animals outside Koala Bears. Yup. 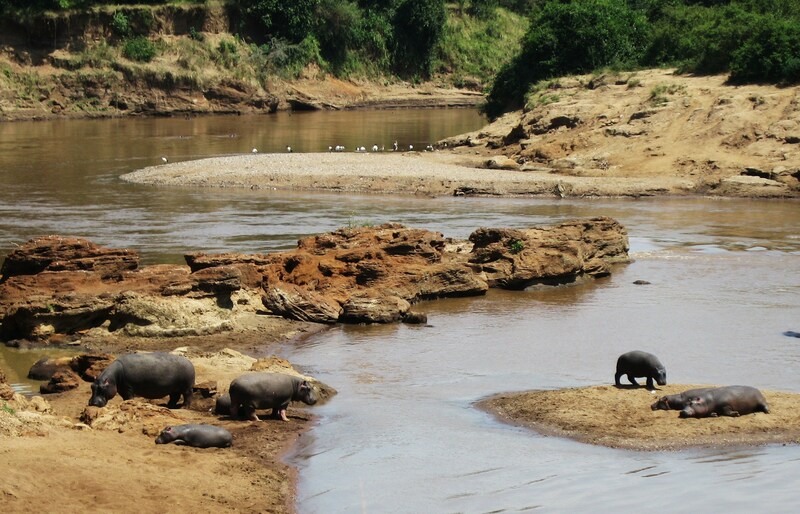 Hippos lazing beneath the water catch people unawares. Now where did you say you got your statistics about koala bears?